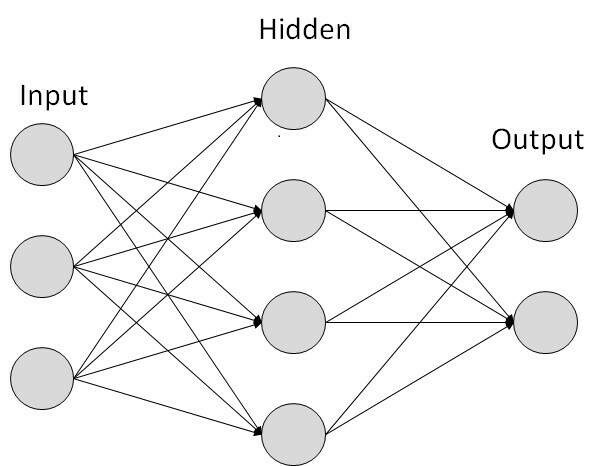 Neural networks is the building block to the latest and one of the main advanced “Deep Learning” that is currently used in machine learning, but what are these?? These block will cover this topic. It is a computer system that is inspired by our very own Human brain. It works in the same way as our human brain and nervous system work. It is termed as “Artificial Neural network(ANN)”. An Artificial Neural Network (ANN) is an information processing paradigm that is inspired by the way biological nervous systems, such as the brain, process information. It is composed of a large number of highly interconnected processing elements (neurons) working in unison to solve specific problems. Lets first see some history on how the concept of neural networks was discovered. Neural network simulations appear to be a recent development. However, this field was established before the advent of computers, and has survived at least one major setback and several eras. Warren McCulloch and Walter Pitts(1943) created a computational model for neural networks based on mathematics and algorithms called threshold logic. This model paved the way for neural network research to split into two approaches. One approach focused on biological processes in the brain while the other focused on the application of neural networks to artificial intelligence. The image shows how this model paved the way for neural networks into the most modern applications. For better understanding of artificial neural networks, first we need to understand the thing on which they are based, that is the working of our human brain. How the Human Brain Learns? Much is still unknown about how the brain trains itself to process information, so theories abound. In the human brain, a typical neuron collects signals from others through a host of fine structures called dendrites. The neuron sends out spikes of electrical activity through a long, thin stand known as an axon, which splits into thousands of branches. At the end of each branch, a structure called a synapse converts the activity from the axon into electrical effects that inhibit or excite activity from the axon into electrical effects that inhibit or excite activity in the connected neurons. When a neuron receives excitation input that is sufficiently large compared with its inhibitory input, it sends a spike of electrical activity down its axon. Learning occurs by changing the effectiveness of the synapses so that the influence of one neuron on another changes. Now lets see how the artificial neural networks work. The ANN consists of a number of artificial neurons whose structure is similar to that of a biological neuron. Each connection is analogous to the synapses of a human brain, so it can transmit a signal from one neuron to another. 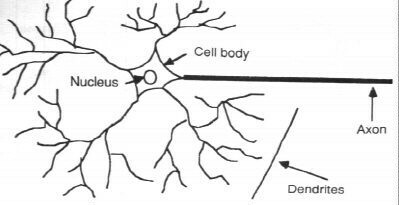 Once the neuron receives a signal, it processes it and signals the artificial neurons that are connected to it. Shown here is a basic neural network model with 3 layers. Once the input is received, it is first processed by first layer using mathematical calculations and computations specified by us, after that the results are sent to the hidden layer, who further processes it and finally we receive the final result on the output nodes. This is how a basic neural network works. 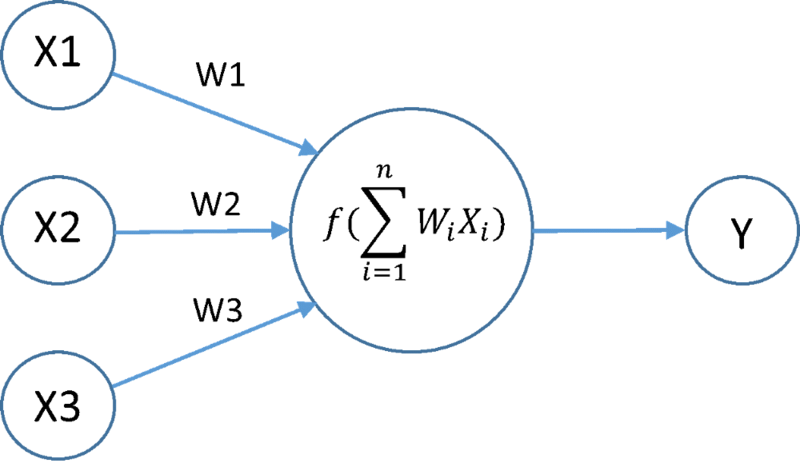 So, for a neural network to learn, we need to provide a large number of inputs along with their labels( that is the outputs), and then continuously passing the inputs (with the labels) through the network, which is termed as Training the neural network model. The most basic application of neural networks used presently is Image Recognition, in which a large number of labelled images are passed through the model, so that it can predict when it sees an unseen image of that particular thing for which it was trained. The best example for this is the model trained by Google Brain scientists, which is capable of recognizing cats and dogs just by seeing a large number of cats and dogs YouTube videos. The best part is, the model didn’t even know what a cat or Dog was prior of its training!! Great, isn’t it! So this is all about neural networks introduction. If you like what I write, please applaud my blog , and follow me if you want more such exciting content.